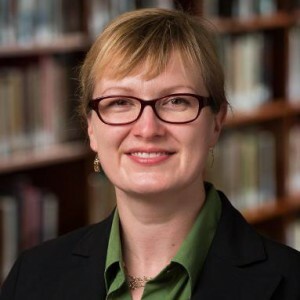 Dr. Carlson-Rainer serves as Assistant Professor of International Relations at American Public University and Affiliate Assistant Professor at the University of Washington in Scandinavian Studies. She is a former American diplomat who worked under three secretaries of state and two presidential administrations in the U.S. Department of State’s Bureau of Democracy, Human Rights and Labor on the Middle East team. With the U.S. Department of State, Dr. Carlson-Rainer worked to shape U.S. human rights foreign policy in North Africa and Gulf countries and manage human rights programs in the Middle East region. She served as Senior Editor for over 20 U.S. State Department Human Rights Reports and International Religious Freedom Reports from 2005-2015. Dr. Carlson-Rainer has also worked with the U.S. Mission to the United Nations, and the United States Agency for International Development (USAID). At the University of Washington, Carlson-Rainer wrote her Ph.D. dissertation regarding LGBTI rights in U.S. and Swedish foreign policy. Dr. Carlson-Rainier was a Presidential Management Fellow in Washington D.C., and a Fulbright Fellow in Stockholm, Sweden. She teaches courses on U.S. foreign policy, international relations, nationalism and identity, LGBTI rights in global affairs, Scandinavian politics, democracy and governance, global security, and human rights diplomacy.